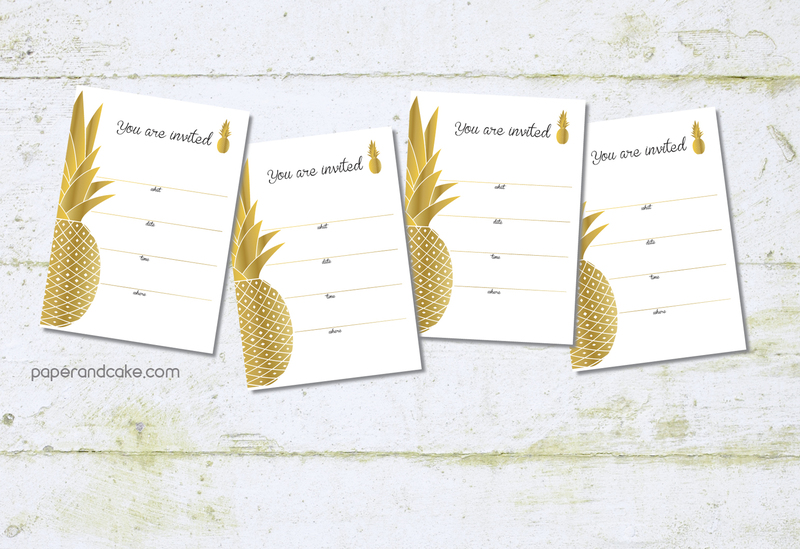 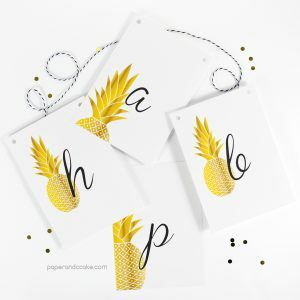 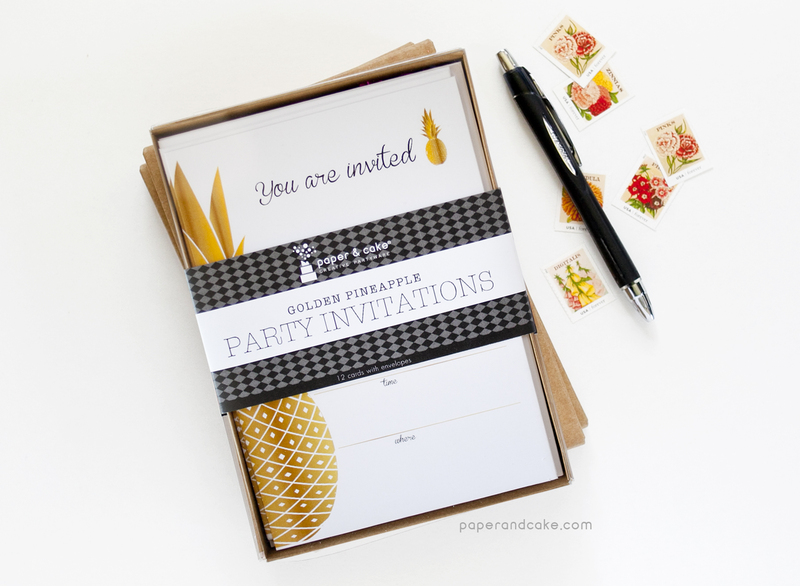 Invite friends to your Pineapple Party with our golden fill-in invitations! 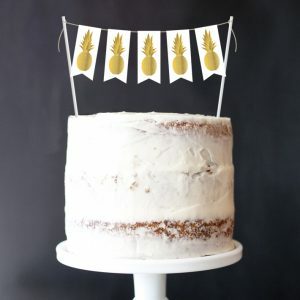 A ready-to-hang birthday pennant banner with gold pineapples. A ready-to-use cake topper with golden pineapples.